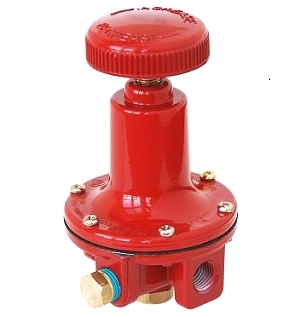 PRODUCT: Adjustable High Pressure Propane Gas Regulator, 0-60 PSI Adjustable or Fixed, Liquid or Vapor LP Gas, Hand-Wheel, 3-5 GPH Liquid Capacity, 1/4 FNPT Inlet/Outlet/Gauge Port, UL Listed. MEGR-6120-60. Price/Each. The MEGR-6120 is a medium to high capacity regulator with precise regulating characteristics allowing delivered pressures from 0-60 P.S.I. 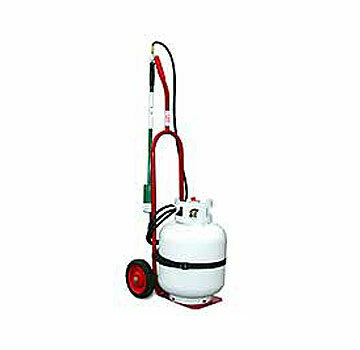 Not for use with gas grills and other low pressure devices. Adjustable High Pressure Propane Gas Regulator, 0-30 PSI Adjustable or Fixed, Liquid or Vapor LP Gas, Hand-Wheel, 3-5 GPH Liquid Capacity, 1/4 FNPT Inlet/Outlet/Gauge Port, UL Listed. MEGR-6120-30. Price/Each.